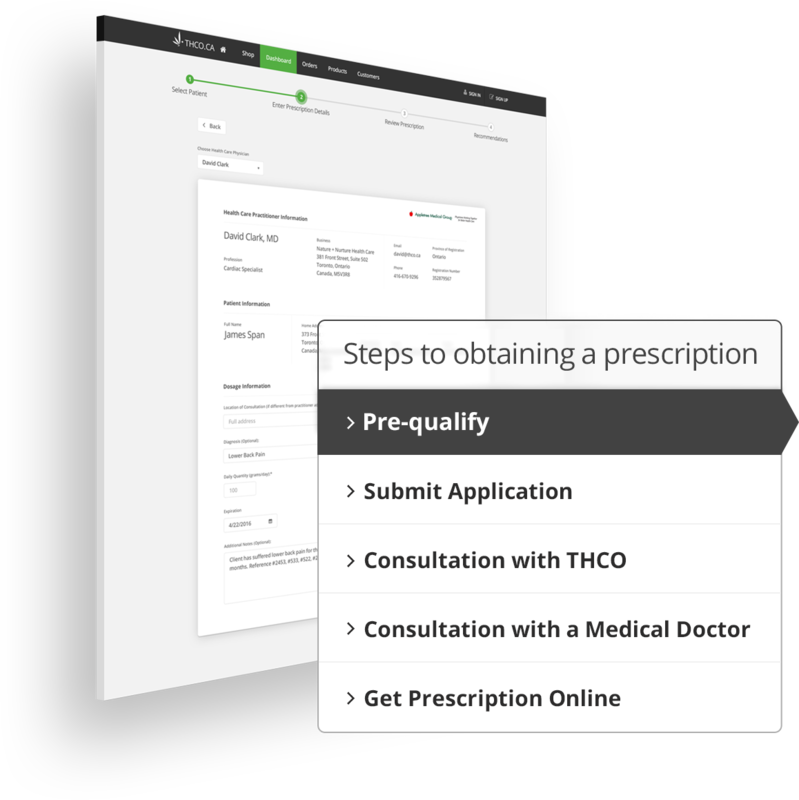 At THCO, we believe there is a better way to create a safe, simple and secure experience for patients, doctors & licensed producers of medical marijuana in Canada. The new ACMPR process (enacted Aug/24/2016) for obtaining patient status to legally purchase, possess and use medical cannabis can be a daunting task. Especially while managing your medical conditions and symptoms that it is intended to treat. 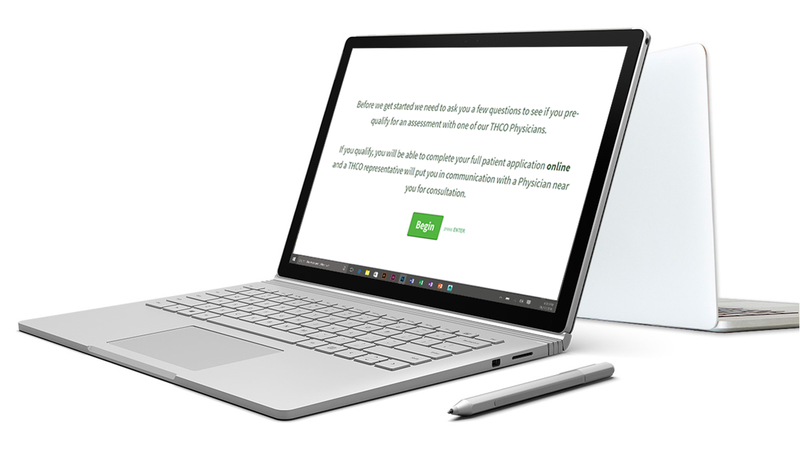 THCO has developed a safe, simple, and secure system to enable patients to easily apply, connect directly to Doctors and obtain medical cannabis products through Canadian Licensed Producers. We've put a lot of research and planning into designing the THCO experience. Our aim is to make sure you feel empowered and taken care with respects to your current symptoms. Part of this is to ensure that medical cannabis is a better and natural alternative for you. 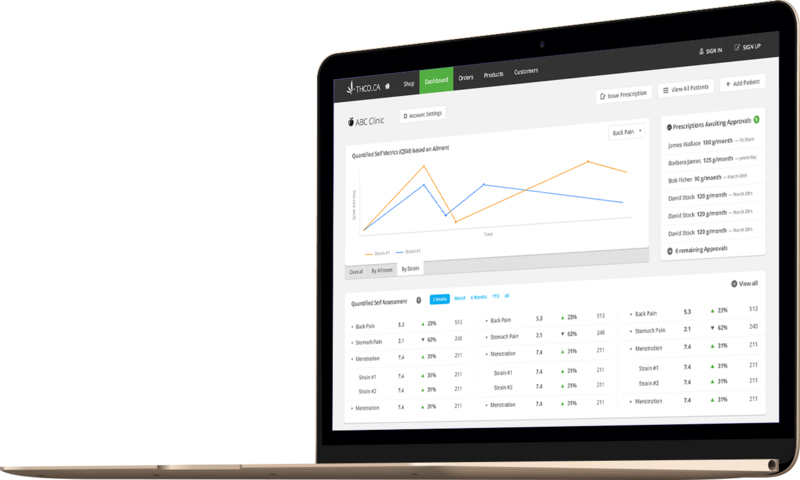 We try to do this as convenient and easy as possible for you while staying compliant, secure and safe. There remains a stigma associated with medical marijuana even though it will be legalized Nationwide in summer/2018. Not all doctors are knowledgeable with respect to the substantial medical benefits and/or practice “harm reduction” prescribing cannabis vs. synthetic and opiate based drugs instead. We recommend that you discuss this with your family doctor first since they know you best. 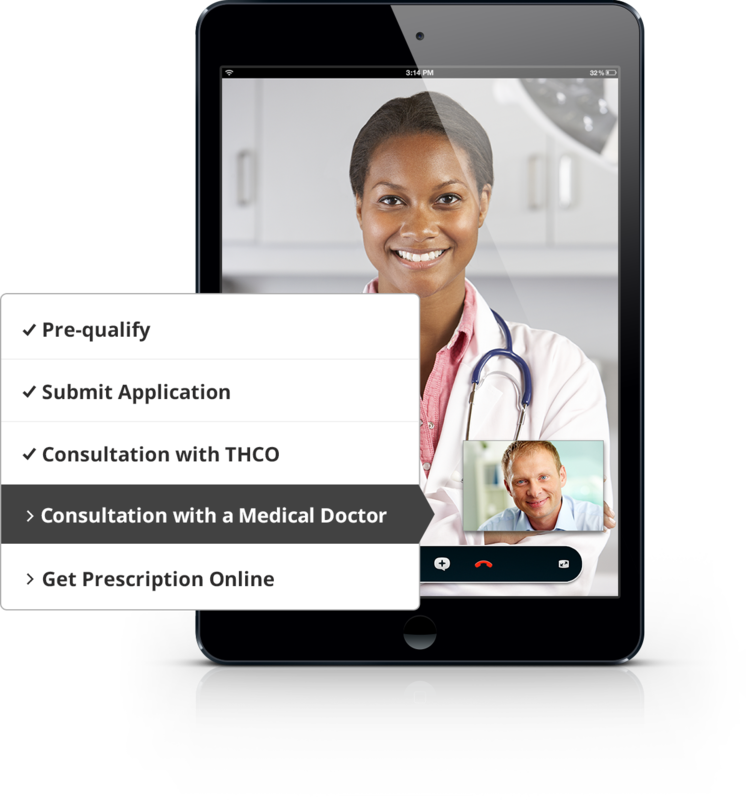 If consensus is reached that you should consult a physician that is more experienced with medical marijuana, THCO can connect you with a knowledgeable doctor from our network. Once you pre-qualify we'll recommend a local clinic for you to visit to get Prescribed. A key cornerstone of the THCO platform is to empower patients. We want to take this one step further by granting patients the freedom to find and select the best quality product for their conditions possible. We believe that with increased choice, fact based information and transparency in the process, patients like you can benefit greatly. As with any new medicine, you want to know and understand possible side effects, product quality, effectiveness to ensure you are getting the best possible treatment. 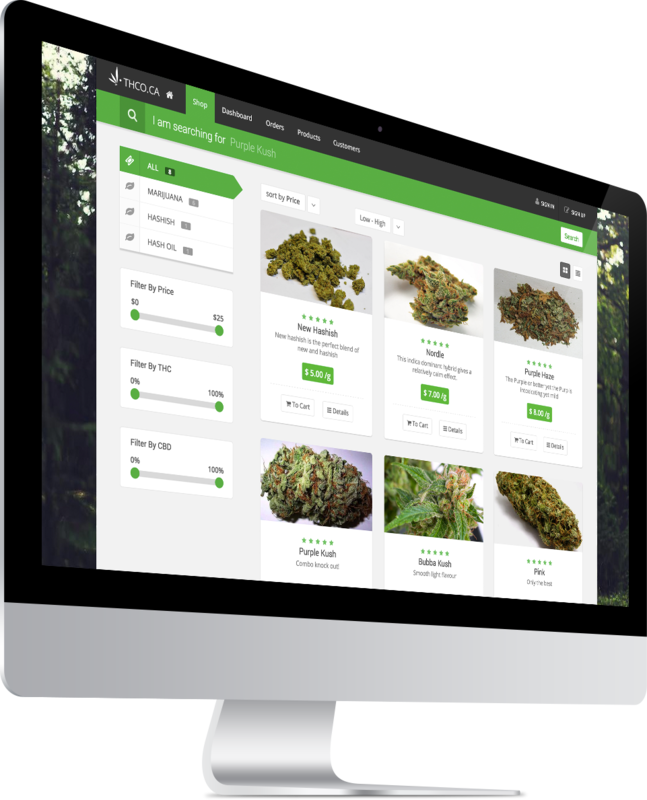 As you browse through the participating Licensed Producers dispensary storefronts on THCO you will find all of these tools and resources available in a simple and easy to understand format, Supplemented with authentic patient product reviews and feedback. 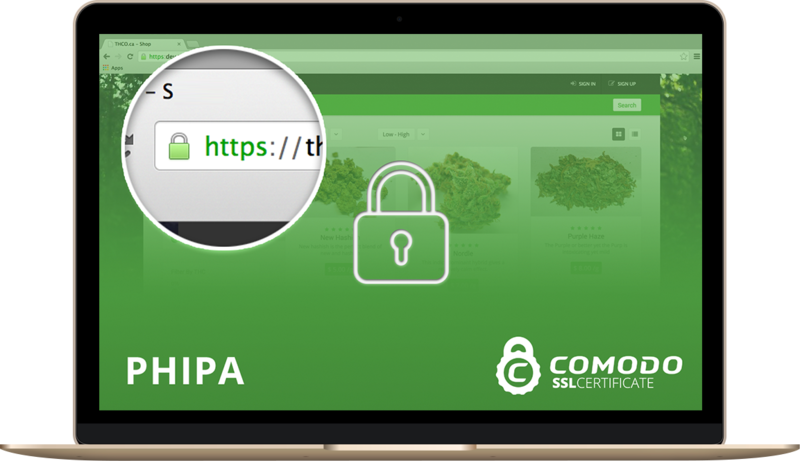 Inquire and submit your information online knowing that the system was built under the guidelines of PHIPA regulations and the latest secure web technologies. Security and handling of patient information are reflected in every business decision we make, and we recognize that we cannot exist without the trust of patients like you. Still not sure or have questions? See our Frequently Asked Questions page.